Isabel II roter Cero-Stempel aus Vigo. Attest Graus. 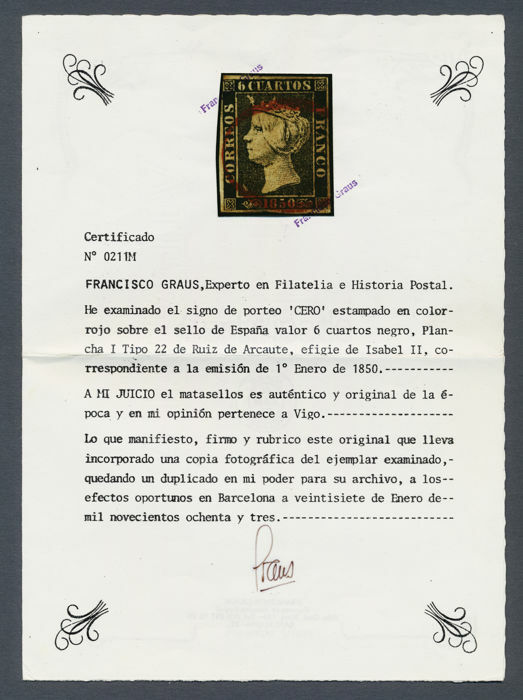 1850, Spain stamp 6 Cuartos in black with very rare, red cancellation "VIGO" according to photo expertise by Graus. 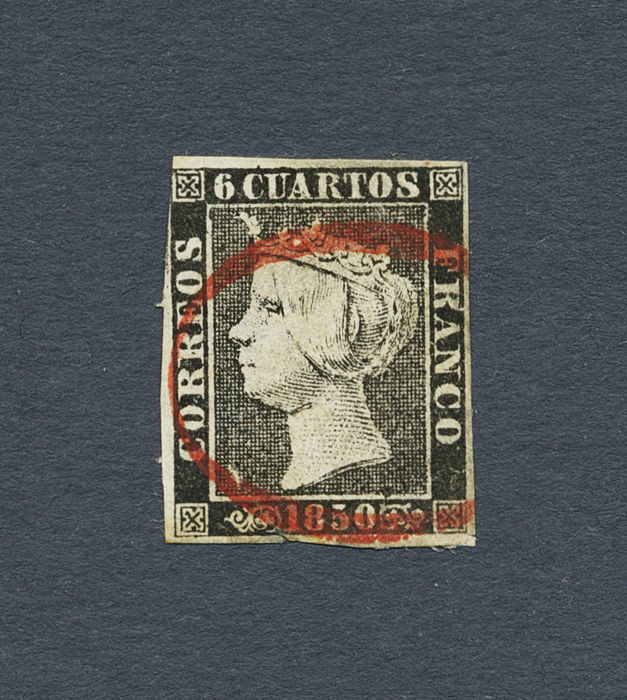 The stamp has a tear at the bottom edge and is cut around the top left corner. 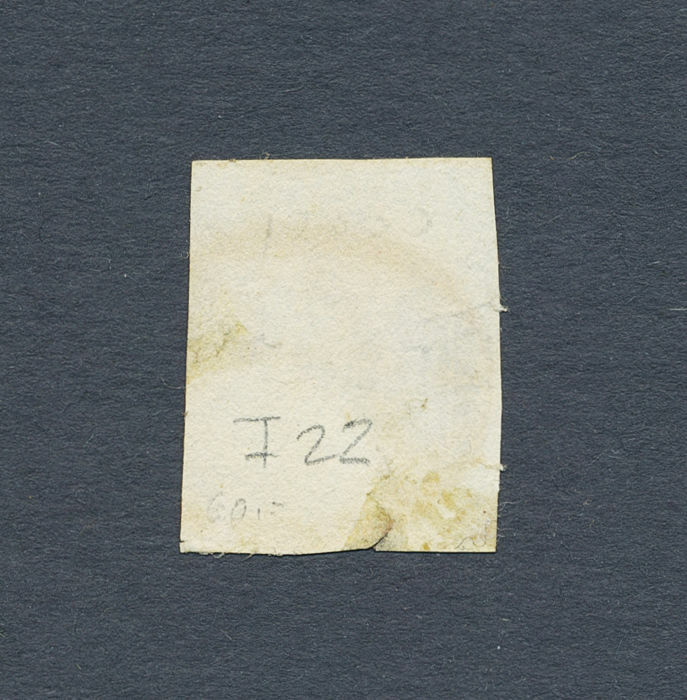 According to an expert, less than 20 stamps with this cancellation exist any longer. 1 cr. Toscana, pezzo come descritto, mi mancava. Tutto ok.
You can pick up this lot from the seller: Ludwigsburg, Germany.